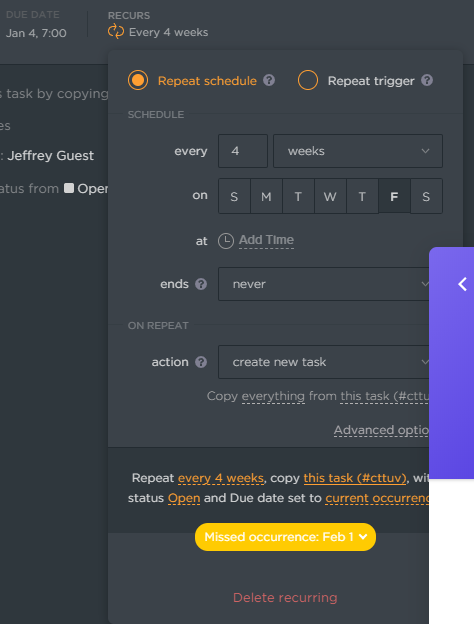 I have recurring tasks that are Repeat Schedule, set to repeat every X weeks on a single day and to create a new task copying everything from the first task. 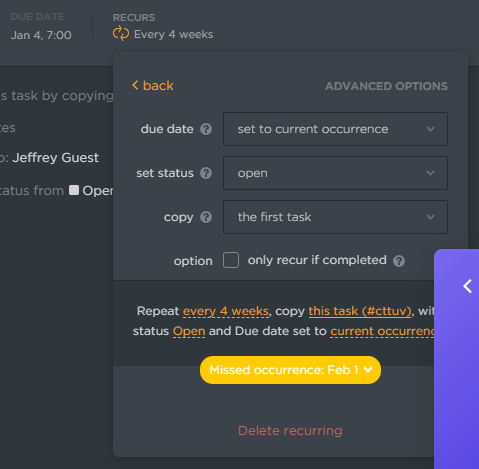 Under advanced options I have due date set to current occurrence, set status open, copy the first task & I DO NOT have the "only recur if completed" option checked. 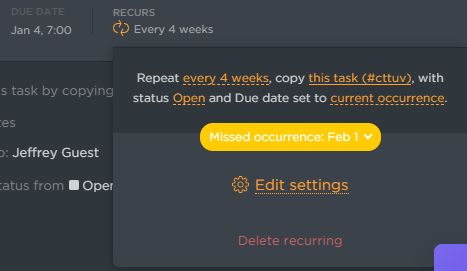 As far as I know, these settings should recur every interval regardless of the status of any previous tasks, yet today they did not recur and they are showing as having a missed occurrence with today's date, even though they never created today's tasks. How could I have missed today's occurrence if today's occurrence was not created? He there, Zack! 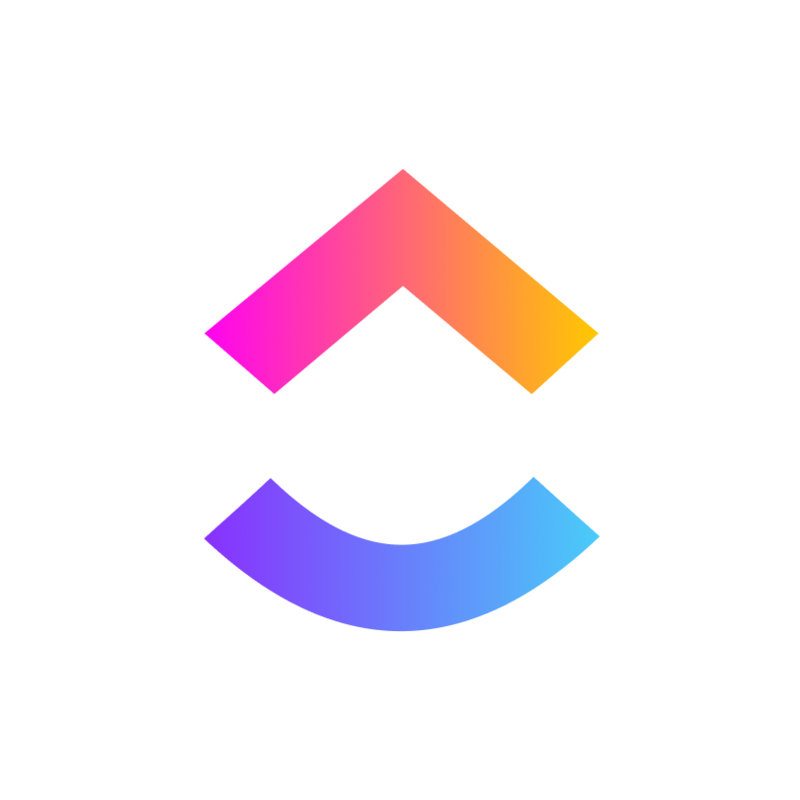 We have resolved this issue in a recent update. Thank you for letting me know, and if there's anything else I can assist you with, reach out anytime!